Buy eyelash curlers online at Boozyshop. The make up webshop that makes online cosmetics shopping fun! Do you always want to be able to count on the most optimal glimpse? In that case you will want to choose to curl your eyelashes. The curling of the eyelashes can best be realized by using special eyelash curlers. Such eyelash curlers can make your eyes look even more beautiful. Many women use eyelash curlers and even can not live without it! Would you also like to realize beautiful, curly eyelashes? In that case it is an absolute must to choose to bring one of the different eyelash curlers from the range here at Boozyshop! What makes eyelash curlers so interesting? Ladies like to have beautiful, curly eyelashes. Several women already have such eyelashes by nature, but unfortunately that does not apply to everyone. The ability to use eyelash curlers fortunately makes sure that all ladies have the opportunity to realize beautiful curled eyelashes. 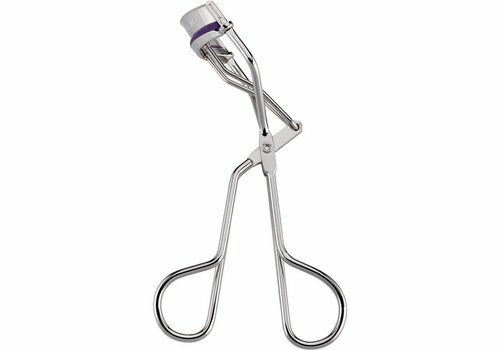 Eyelash curlers are a very simple tool that can be used by anyone and without you having to spend a lot of money on it. Moreover, we have chosen here at Boozyshop to offer our customers different types of eyelash curlers so that everyone can get exactly that curler they are looking for! Are you planning to use an eyeliner or eyeshadow? In that case it is always advisable to apply this first before using an eyelash curler. When you have done this, place the eyelash curler on the upper lashes and then gently press the two clips together. You do this for about 10 to 15 seconds. In this way it is ensured that the lashes are bent so that they will curl a bit. It is advisable to repeat this a few times in order to create the best possible effect. After curling your eyelashes with one of the eyelash curlers from the range here at Boozyshop it is always recommended to apply a layer of mascara. This mascara can ensure that your eyelashes stay in place better. In addition, the curling effect will be maintained longer this way. As interesting as the use of eyelash curlers may be, many ladies prefer staggered eyelashes and that is probably no longer possible ... Or right? Certainly! 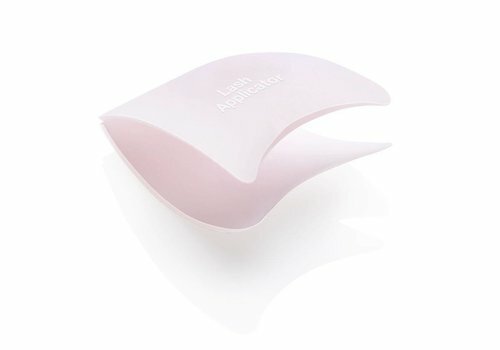 Besides eyelash curlers, you can also perfectly choose to use an eyelash comb. In this way lumps are prevented so that the beauty of your eyes always remains optimal! If you are looking for a suitable eyelash curler, it is always a good idea to take a look at the range of eyelash curlers here at Boozyshop. As you can see, it is possible with us to make a choice from different types of eyelash curlers, ranging from very simple and very cheap to almost professional. The latter is still available at a very interesting price, making it possible for everyone. It may be clear, would you also like to use eyelash curlers for curling your eyelashes? In that case you do not have to look any further, here at Boozyshop you have the opportunity to order the best eyelash curlers at the best possible price! Having the opportunity to make a choice between different types of eyelash curlers is of course nice and the low price tag will sound like music to many ladies, but buying eyelash curlers here at Boozyshop brings even more interesting advantages. You will also receive a nice gift with an order worth a minimum of 30 euros. It may be clear, are you looking for eyelash curlers that you can buy at the most interesting conditions? Order them today at Boozyshop!